PERI Duo for iPhone 6/6s - Moar Stuff - You don't need it but you know you want it. 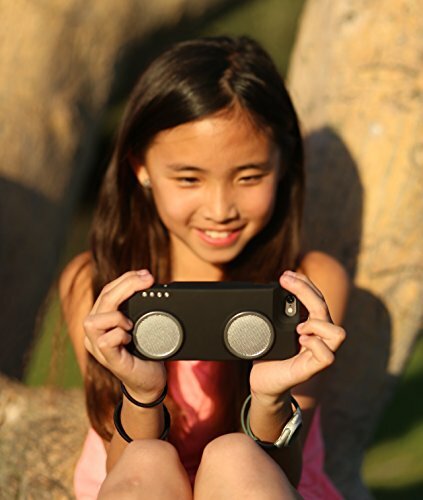 Experience a new way to take your music everywhere - the Duo is the first iPhone case to combine a hi-fidelity speaker with 10x the volume of your iPhone and extra battery into a single sleek case. Stream music wirelessly via Bluetooth or Wi-Fi. Use Duo's on-board Wi-Fi audio router to stream high-resolution, lossless audio files with 100% clarity. Or Connect up to 64 Duo devices over Wi-Fi with PERI's Quick Link technology! Save and Play your favorite Spotify playlist from the cloud with PERI's Quick PlayTM one-button streaming while the Duo is detached and connected to your home Wi-Fi. Use the Duo as a speaker phone with its integrated microphone and amplify the volume on those hard-to-hear calls and group conference calls. Works only with the iPhone 6/6s not the iPhone 6 Plus/6s Plus. Face it, the iPhone 7 is kind of a flop. They want way too much money for an, at best, incremental upgrade AND someone thought it was a good idea to remove the Aux port. WTF, Apple! As a result, a lot of folks have stuck with their 6/6S phones. If that’s you, take a look at the PERI Duo for iPhone 6/6s case. 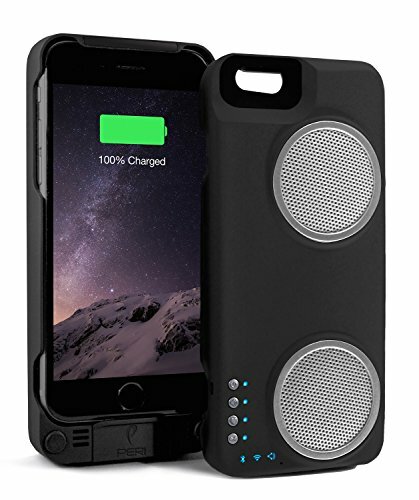 This case combines a pair of external Bluetooth speakers with a 2,900 mAh battery pack for about 1/2 the cost of buying those things separately. It’s a great way to upgrade last year’s phone with some new, and very useful, features. For example, since it has a built-in microphone, you can use it as an amplified, hand’s free phone in meetings or noisy places where the built-in speaker doesn’t cut it. 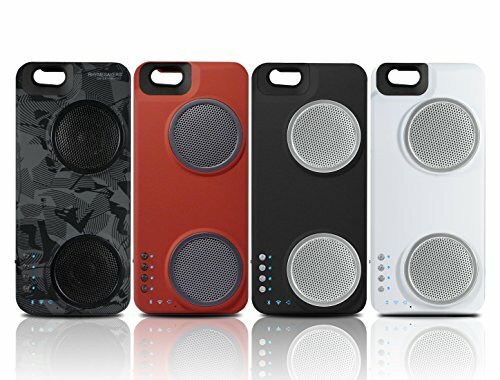 The Hi-fidelity speaker is up to 10x louder than your phone’s built in speaker. 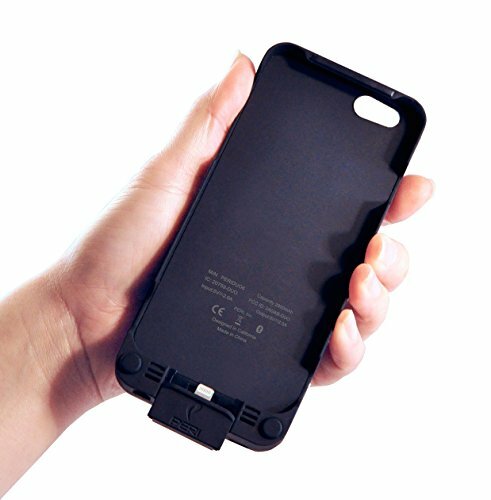 The 2,900 mAh battery can extend the life of your phone by up to 120%. that’s 60 hours of music, 13 hours of HD video or 16 hours of talk time! It even has an on-board Duo audio router so you can connect up to 64 Duo devices over Wi-Fi with PERI’s Quick Link technology. Oh, and did I mention that the case can even connect to Spotify independent of the phone? Well, it can. With PERI’s Quick Play™ technology, it only takes one-button to stream your playlists via your home Wi-Fi right from the phone. How freaking cool is that? It’s available in 4 different color options so, pick your favorite today. Dimensions: 0.78 x 6.06 x 2.75 inches. The case can stream Spotify playlists all by itself. 4 different color options are available.